Etosha Safari Camp offers competitively priced accommodation and camping. It is directly next to Etosha national park. 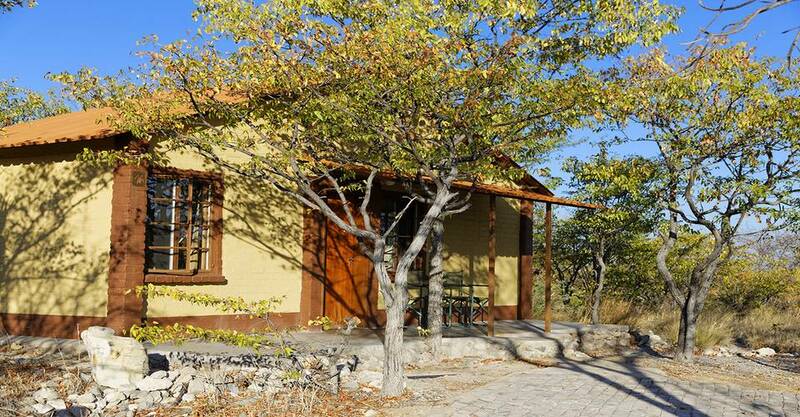 The Lodge is very easy to access and near the entry gate of Etosha National Park. Etosha Safari Camp is only 10 km from the Anderson Gate (near Okaukuejo) on the C 38. Perched on a small hill near the Ondundozonanandanana mountain range. There are 50 unique en-suite safari bungalows. The decor is offering a warm and creative African ambience. Each cottage has artistically painted floors. There are metal and ceramic furniture created by local Namibian craftsmen. The inventive and rustic design also continues in the spacious bathroom. Guests can enjoy the open veranda stretched across the length of each Bungalow. The rooms are in the midst of dense Mopane and Commiphora vegetation. There is an abundant birdlife. It is a great way to unwind before setting off on the next Etosha game drive. 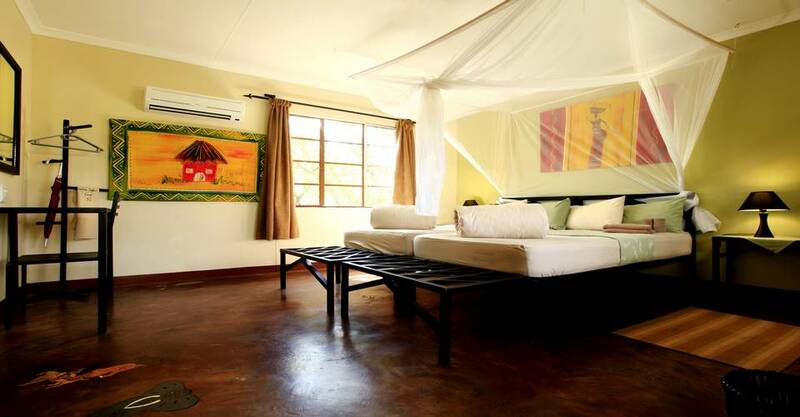 All the beds have large mosquito nets, and our gauzed windows provide optimal protection and air circulation. Our bathrooms have year-round warm water. Breakfast, lunch and dinner are in a rustic and tastefully farm-style restaurant. The Restaurant is at the foot of the hill. 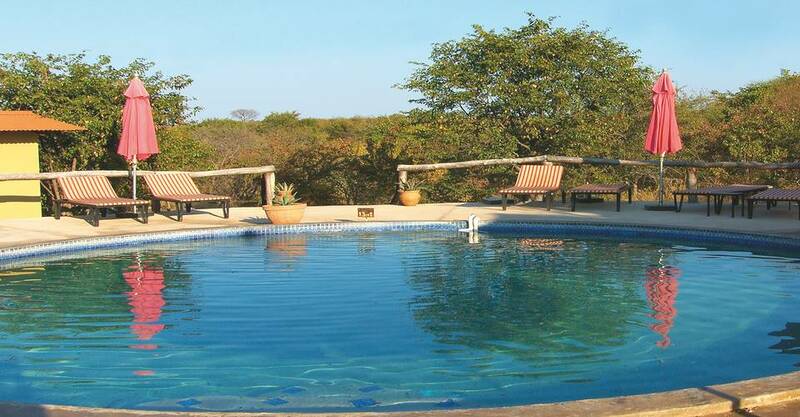 Guests can relax in the swimming pool or enjoy our guided game drives. 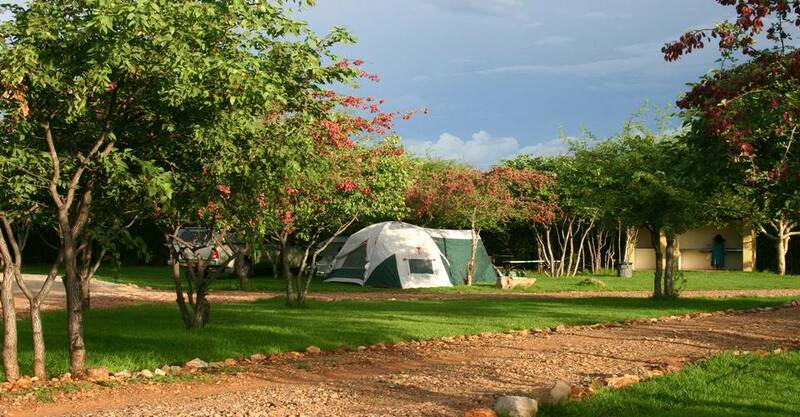 For the more adventurous traveller, Etosha Safari Camp provides a well-equipped campsite. 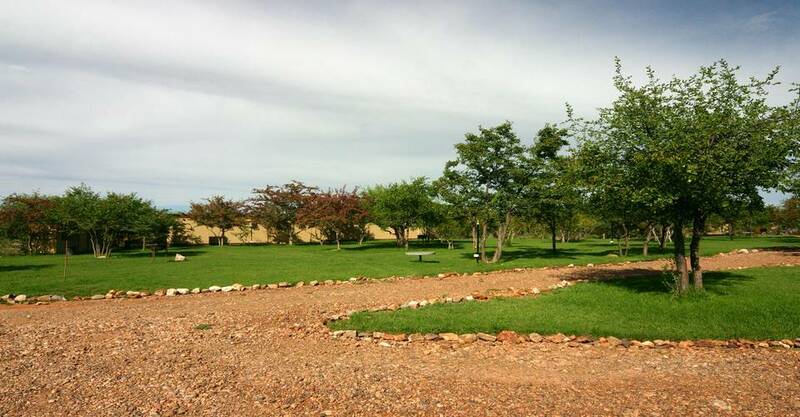 Camping guests are welcome to enjoy the camp’s facilities and the fresh buffet-style cooking. 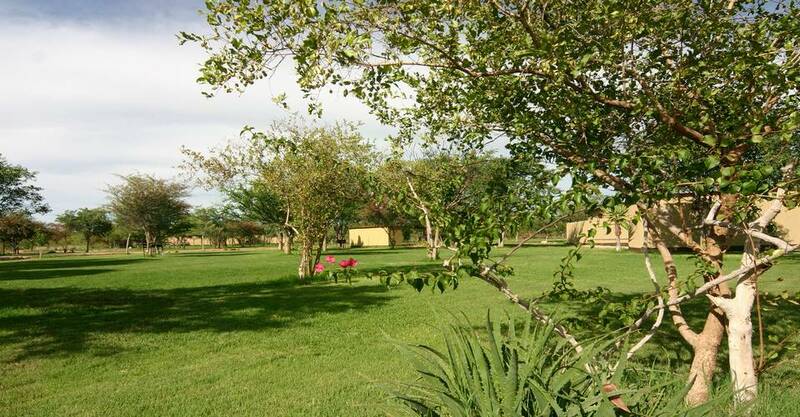 Etosha Safari Camp offers tastefully decorated bungalows and well-equipped campsites. The safari camp has competitive and attractive overnight options available while visiting the Etosha National Park. You are welcome to visit the Restaurant. Travellers can enjoy the Swimming pool. You can also make use of the Campsite. 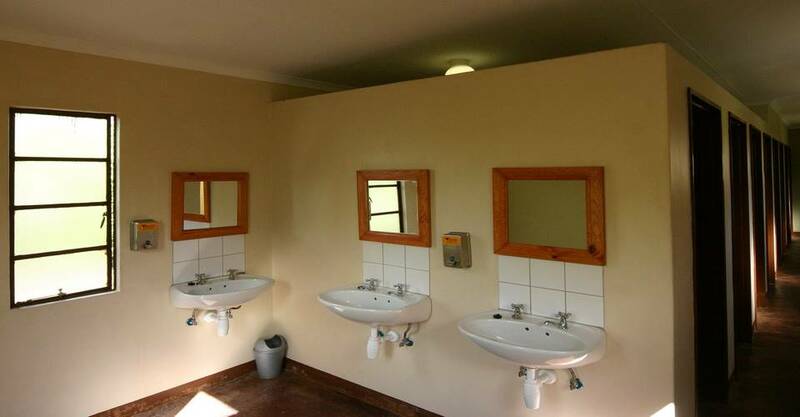 There is Fifty Chalets all with en-suite bathrooms. Excursions to the Etosha National Park: full day and half day game drives. Please note an N$ 10 per person booking fee applies for camping bookings.